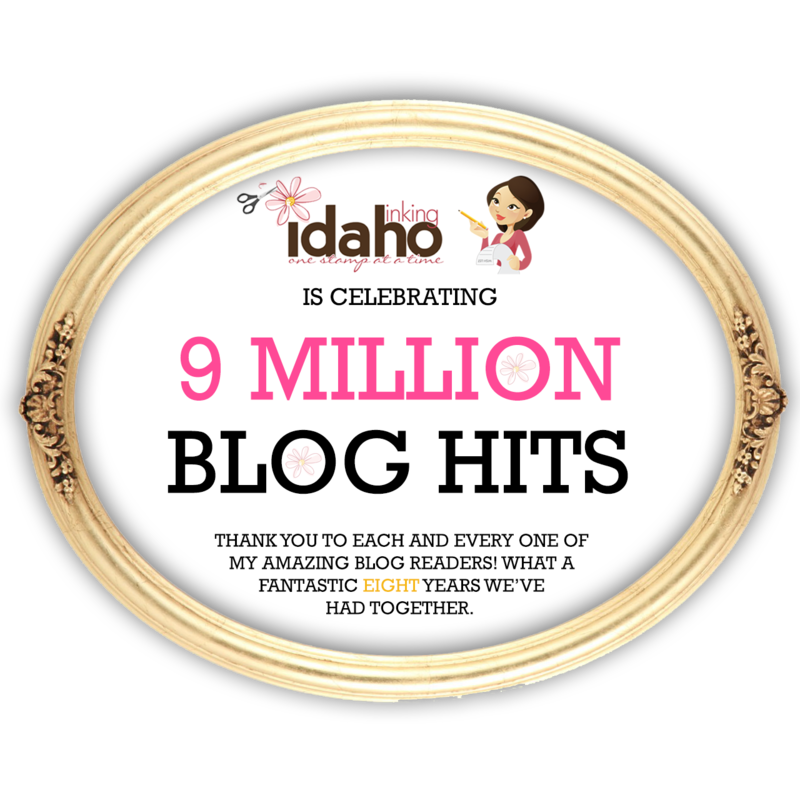 Thank you, thank you for celebrating with me this past week as Inking Idaho has hit a milestone of 9 Million Blog Hits. As promised on the 1st of April, if you left a comment on that posting you would be entered into the drawing. Nine people were drawn to win a 9 item gift prize pack from me! Congratulations! We visit so often because of all the wonderful ideas and tips that you share with us all of the time. I love visiting your blog and which I lived closer to you so that I could meet you and join your workshops. What a milestone - you deserve to celebrate! 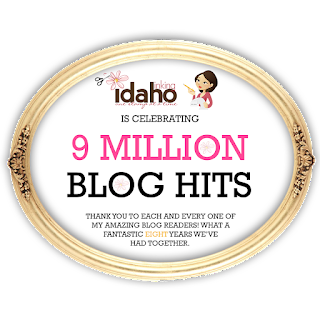 I am not surprised your blog has 9 mil hits, it's certainly one of my favorites! Thanks for chance to win! Congrats on your accomplishments. That is just awesome. I am one happy subscriber to your blog. That is so awesome Becky! I love your tutorials and have been a subscriber for years! Always enjoy reading about your family as well! Congrats, Becky! How exciting! I think I remember you giving away something when your blog hit the first 1 million. Doesn't seem that long ago. Keep up the wonderful creative posts and congrats again! Becky, many congratulations on NINE MILLION views! You have such a great blog, full of terrific ideas and inspiration. It has been fun to see your family grow and succeed in their educational endeavors. Thanks for all the effort and love you put into your blog. You have been my morning staple for SU! news and cuteness for several years now. I'm looking forward to many more. Thank you for all the work you do, and a hardy CONGRATULATIONS on your blogging success! Congratulations on 9 million, that speaks for your talent and sharing heart. You are my link to Stampin Up. Your creativity shines. It was fun to learn the history, how clever to make us feel a part of your family by including the boys! I only started following you about 2 years ago! You make me want to move to Idaho, yes away from the heat of Florida, I am originally from Ohio and miss the snow! Here's to 10 million!! Thanks for sharing your talent with us! If your name is on this list, e-mail me and identify your comment. Then, leave me your full name and address for the prize pack. You have until April 12th to claim your winnings. Yeah! This was fun. Congrats to all the winners.